Why is winning or losing in sport, or indeed in life, so important? Why are we competitive? Does competitiveness evolve since birth or does an element in society promote this streak? Some very young children don’t display it. Yet maybe it is a throwback, a feral one that’s uncomfortable to acknowledge, harking to the realities of grim personal survival. Why do we play sport? “It’s fun”. “My friends play.” And a degree of competitiveness develops, and with those who support and follow the play, attitudes towards winning and losing. May we in New Zealand strive to model honour in winning, nobility in losing. Imagine you were an English or Australian rugby supporter at Twickenham for the England/Australia match. Reactions to the result would vastly vary. The English fan base would likely be demanding the head of English coach Stuart Lancaster, whilst Australian supporters could smugly afford to be generous, an aspect of our emotional makeup sometimes difficult to apply. 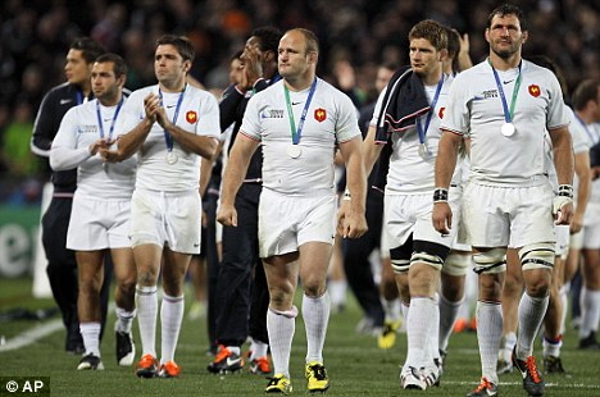 Take the 2011 All Blacks World Cup victory in the final over the French team. The build-up was extreme. New Zealand political journalists said a loss would be catastrophic and implied an All Black loss might bring about the downfall of the government. Fortunately, maybe, the All Blacks won, the sun rose again in New Zealand the following morning, and supporters could afford to be magnanimous despite a solitary point being the winning margin. Did New Zealand win or did the French lose? Lancaster’s England team lost by a wider margin to a better team on the day. Handling defeat takes more stamina to cope with than a victory. But we can learn from losses. In winning or losing, a sense of humour may be a healing balm . This entry was posted in As I See It and tagged 2011;, ethos and values, rubgy, Rugby World Cup by SJPONeill. Bookmark the permalink.